The Fiji Meteorological Office has advised all communities to remain alert as localised heavy rain over a short period of time can cause flash flooding in low lying areas. In a release, the weather office says the ground is getting saturated and river levels are gradually rising in the Eastern Viti Levu. It says it will closely monitor the situation and will provide an update as any significant changes are observed or expected. It comes as it assessed an active trough of low pressure associated with cloud and rain lies slow moving. 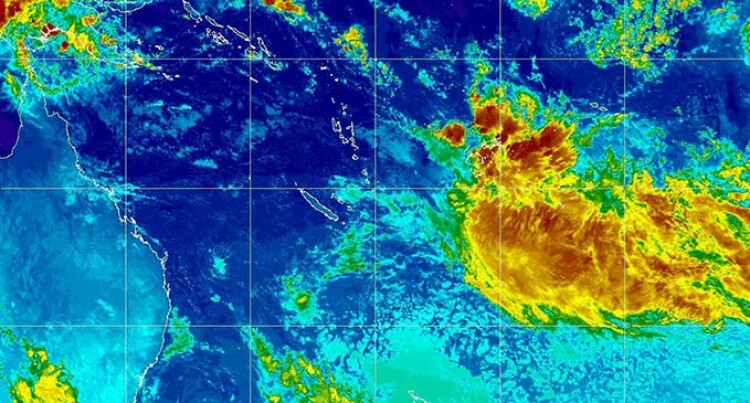 It affects the whole of the Fiji Group but the weather office said this was expected to gradually ease from Wednesday. The areas that were under heavy rain warning includes eastern Viti Levu, Kadavu, Eastern parts of Vanua Levu, Taveuni and nearby smaller islands. Here people can expect periods of heavy rain, heavy at times and few squally thunderstorms. The other parts of Fiji are under heavy rain alert and these areas could expect occasional rain with isolated heavy rainfall and few thunderstorms. The trough has a potential to produce more than 100 millimetres of rainfall in 24 hours which could cause localised flooding in low lying areas. With some significant rainfall in the last 24 hours in the Central Division, the small streams in the Waimanu Catchment had started to gradually rise and a Flood Alert is now in force for the low lying areas and small streams adjacent to Waimanu Station and downstream of Waimanu River. In anticipation of rain to spread to other parts of the country, the flood alert is also in force for low lying areas and small streams adjacent to major rivers for eastern Viti Levu, Kadavu, eastern Vanua Levu and Taveuni. A strong wind warning is now in force for land areas of Lomaiviti and Southern Lau Group, Kadavu and nearby smaller islands in anticipation of trough moving southeastwards with wind expected to increase from 40km/hr to 50km/hr with strong northwest winds, gusting to 60km/hr. Elsewhere, moderate to fresh easterly winds and gusty at times. A strong wind warning remains in force for all Fiji waters and mariners can expect 25 to 30 knots, gusting to 35 knots over Southern Lau, Koro Seas, Southwest Viti Levu, Kadavu and Vatu-i-ra passage. For the rest of the Fiji Waters, anticipate easterly winds 20 to 25 knots, gradually turning and becoming North Easterly. Seas are expected to be rough to very rough and poor visibility in areas of heavy rain and thunderstorms.